What Kind of Savings Bond Do You Buy a Newborn? Series I bonds are the only U.S. savings bonds still issued in paper form. 1. Can I Still Purchase Savings Bonds Using My Credit Card? U.S. savings bonds, originally referred to as "baby bonds," have been around in one form or another since before World War II. They make great gifts for newborns. They can be purchased for as little as $25, they are backed by the full faith and credit of the U.S. government, and they offer some nifty tax benefits. Any U.S. citizen or resident with a Social Security number -- even newborns -- can own U.S. savings bonds. The U.S. Department of the Treasury offered two series of U.S. savings bonds as of January 2013; Series EE bonds and Series I bonds. Both can be purchased for minimal amounts, and both can be given as gifts to newborns. The primary difference between Series EE and Series I bonds is how their interest is determined. The one that is best for a newborn depends on what you think interest rates will do in the future. Series EE bonds pay a fixed rate of interest for the life of the bond. The interest rate is set twice per year in February and November, and all Series EE bonds issued during each period earn the same rate of interest. The U.S. Treasury guarantees that the bonds will at least double in value after 20 years. If the stated interest rate is not sufficient to accomplish that, the Treasury will make a one-time adjustment to make up the difference. Series I bonds use a two-component system to determine interest rates. One component, called the fixed rate, is determined at the time of issue. The other component, called the inflation rate, is adjusted every six months based on the consumer price index for all urban consumers. 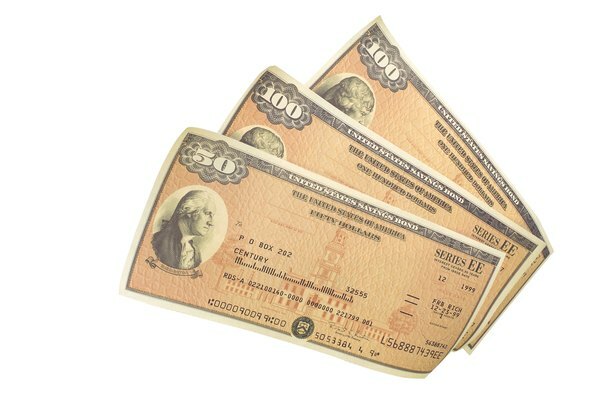 Series I bonds have the distinction of being the only kind of U.S. savings bond that you can still buy in a paper format. Paper is available only if you buy the bonds with your federal income tax refund. U.S. savings bonds are one of the few securities that minors, including newborns, can own in their own names. Any U.S. citizen or resident who has a Social Security number, regardless of age, can own a U.S. savings bond. If you want to buy a savings bond as a gift for a newborn, you'll have to buy it through your Treasury Direct account, or use your tax refund to buy paper Series I bonds in the baby's name.